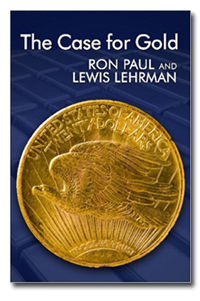 Home | Mises Library | Does Gold Mining Matter? The outlooks of gold analysts are diverse. After reading the latest WGC report, Mineweb is bullish: "Gold demand tops US$100 billion and mine supply remains under threat." John Nadler, however, is bearish, citing the expected "additional 400–500 tonnes per annum" that will result from the exploration boom of the last few years. Tom Barlow even asks, "Are we running out of gold?" I choose these examples not to pick on these authors. I could have just as easily chosen a hundred other examples: the vast majority of analysts who cover the gold market focus on mine supply as one of the main drivers of gold-price forecasts. I use these examples only to illustrate the ubiquity of this view. However, while analysts need something to analyze — and the mining industry provides many analytical complexities — ultimately, their efforts are wasted. Mine supply has very little influence on the price of gold. Anyone who agrees that the gold trade is a market would accept the premise that the price depends on supply and demand. Where most analysts go wrong is to analyze gold using what I will call the consumption model. This model counts the current year's mine production plus scrap (and, in some versions, central-bank sales) as supply, and the current year's purchases of jewelry, coins, bars, and industrial gold as demand. the annual production of the commodity is large in relation to existing, above-ground stockpiles. Oil is a good example of a commodity that meets these conditions. It is refined and then irreversibly combusted. The oil price must enable the market to clear more-or-less current production with current consumption, buffered only by the oil sitting on tankers and in underground reserves. Reserves cannot do not hold more than a few months' supply, due to the high rate of oil consumption in relation to the storage capacity. The consumption model does not explain price formation of a commodity where the two conditions are not met, because owners of the existing stocks own much more of the commodity than the producers bring to market. Consequently, they have far more influence over the price than do producers. Gold is the best example of such a commodity: gold is not consumed; people buy it in order to hold it; gold has the largest ratio of stock to annual production of any commodity. In fact, it is estimated that nearly all of the gold ever mined in human history still exists. This supply grows by only 1 to 2 percent on an annual basis; or, if we look at the ratio from the other side, approximately 50–100 times the annual mine production is held in stockpiles. The consumption model would hold true if each year's gold were segregated into its own market, with no arbitrage from previous years' markets. But this is not the case: everyone who is buying, selling, and holding forms a single, integrated market. A buyer doesn't care whether he receives gold mined within the past year. Gold miners are competing with all of the holders of gold stockpiles when they sell. Contrary to the consumption model, the price of gold does clear the supply of recently mined gold against coin buyers; it clears all buyers against all sellers and holders. The amount of gold available at any price depends largely on the preferences of existing gold owners, because they own most of the gold. Looking at the supply side of the market, each ounce in someone's stockpile is for sale at some price. The offered price of each ounce is distinct from that of each other ounce, because each gold owner has a minimum selling price, or "reservation price," for each one of their ounces. The demand for gold comes from holders of fiat money who demand gold by offering some quantity of money for it. In the same way that every ounce of gold is for sale at some price, every dollar would be sold if a sufficient volume of goods were offered in exchange. While some dollar owners are not interested in owning gold at any price, those who are interested have a maximum buying price for each ounce that they might purchase. You can think of their buying prices for gold ounces as their reservation price for holding dollars. Rothbard provides a detailed, bottom-up analysis of price formation in a market like this. I will demonstrate his model with a sequence of diagrams that show how the dollar price of gold is formed. As a first step, suppose that while gold trading had been suspended for some time, the preferences of some of the gold owners and nonowners changed. Thus, when the market opens, some of them wish to buy while others wish to sell. Rothbard constructs supply and demand curves using the reservation prices of the individual buyers and sellers. The supply curve at each price is the total amount of gold ounces for sale by all gold owners at or above that price. The demand curve at each price is the total amount gold ounces that could be purchased with the dollars offered at that price (or below that price). The market-clearing price is that point where supply and demand are balanced. When trading opened, the market participants would converge on market-clearing price. Once a price had been established, all of the buyers offering at or above that price would buy, and the all of the sellers asking at or below that price would sell. Trading would continue until no one wanted to exchange gold for dollars or dollars for gold. At that point in time, the market will have cleared. Supply and demand curves would be as they are in Figure 2. After trading, everyone has adjusted gold and dollar balances to their preferred levels. The market would show two quoted prices for gold: the best bid and the best offer. The best bid is the price offered by the marginal nonbuyer of gold, and the best offer is the price asked by the marginal nonseller of gold. More trading could occur only if a buyer increased their bid price, or a seller decreased their ask price, for at least one ounce. Suppose that, from this new starting point, one gold owner lowered his asking price for one of his ounces below the best offer of the most marginal seller. A trade would then take place between the gold owner and the marginal seller. What would the situation be after the trade? The same as before, except that the best bid and best offer prices might be different. The new prices would depend on the reservation price of the buyer of the single ounce. If his reservation price were above the best bid but below that of the next most marginal seller, then the new buyer would become the marginal seller and would set the best offer price. But his reservation price might be much higher — enough to make another one of the existing gold owners the new marginal seller. The miner is different from other gold owners in that he produces gold, while the other owners bought their gold. But from a price-formation standpoint, it doesn't matter how or where it came from; the miner can choose a reservation price, or not. Most miners do not have a reservation price; they sell at market. The gold analysts and I agree that, in a market, the marginal buyer and seller set the prices. It is also true that the miner is always a marginal seller because they sell at market. However, the entire population of suppliers and demanders must be considered in order to identify who the marginal buyers are and the price where the trades take place. All of the demanders influence the price through their decision not to offer a higher price. All of the (nonmine) suppliers influence the price through their decision not to ask for a lower price. To sell at market means to sell at the price set largely by those buyers and sellers who do have reservation prices. The problem with the consumption model is that it ignores the influence of the majority of sellers on the price. How does the presence of sellers selling at market affect the price? The miner's presence affects the supply curve as shown in Figure 3. Some trades will take place below what was the best bid before the miner entered the market, as shown in Figure 4. Once the miner has sold his stocks, we are back to the situation shown in Figure 2. What was the freshly mined gold is part of the new buyer's stockpile. There will be a new bid and ask price, which will take into account the reservation price of the person who bought the miner's gold. We cannot say what the new bid and ask will be: either could be above or below the price before the miner sold. Mine supply is the only supply available to the market, because gold investors are primarily of the buy-and-hold mindset. If gold buyers typically have long holding periods, then is gold like oil that was burned or corn that was eaten? Is it gone forever and not part of the market? Every asset is for sale at some price. While many small gold coin and bar buyers have a reservation price that is more than $10 above today's price, they do have a reservation price. There is a point at which other assets (stocks or bonds) or consumption goods (cars or houses) would start to look more attractive than holding the marginal ounce of gold. There can be no doubt that a good many gold owners would become sellers at $5,000, $10,000, or $100,000 per ounce. Existing stocks of gold don't affect the price because they are not for sale at the current price. On closer examination, this is not really an argument: it is only a restatement of the definition of price. A price in a cleared market is that quantity of money below which nothing is offered for sale. While this is true, it does not provide any information about what the price will be. As discussed above, the price at which the first mined ounce is sold is set by the marginal nonseller and nonbuyers of gold. Suppose, for example, that all of the gold owners had a reservation price of $5,000 or higher per ounce, with the buy prices of people holding dollars remaining where they are now. If that were the case, then once miners had sold their gold, gold would be offered at around $5,000 per ounce. While mining doesn't have much impact on the gold price, the reverse is not true: the gold price has significant influence on the mining industry. The economics of mining explains this. The cost of getting the gold out of the ground is sensitive to several factors, including the grade of the deposit, its depth below the surface, proximity to refining infrastructure, the cost of energy, the cost of labor, and other variables. The marginal cost of mining more gold above current production rises rather sharply. It would not be profitable for the gold-mining industry to increase production enough to have much impact on the total gold supply during any given year. The consumption model of gold pricing ignores the influence of the majority of sellers on the price of gold. It counts only a minority of the sellers. The consumption model does include "scrap sales" (sales by those sellers whose reservation price was low enough to result in a sale). But the suppliers who did not sell outnumber those who did — by a large margin — and the selling price of those who did sell was primarily determined by those who did not. The sole exception that I can think of is a report from Credit Agricole, authored by Paul Mylchreest. You must register with the World Gold Council to download their supply and demand data. For a comprehensive set of statistics, including the total above-ground stockpiles, see Gold Market Knowledge. The time window of one year is entirely arbitrary — why not one week? Some miners sell at a predetermined price because they have entered into hedging contracts. This price could be above or below the market. Other miners (though very few) do have a reservation price. These miners stockpile gold if it is above their reservation price.